When I hear the first notes of this song, I am transported in my mind to my Grandma's kitchen. It was one of her favorite songs, and she sang it often when cleaning, cooking, or just spending quiet time with us. When I think of the words to this song, they're always in her voice. This piece measures 3.5 x 2.5. It's created with permanent ink in 140 lb. watercolor paper. 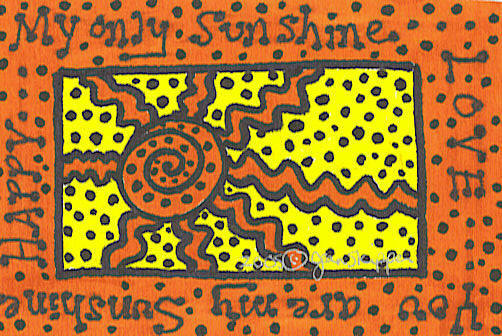 Even if you can't seem to sing this song yourself, be sure to tell someone that they're your sunshine today.